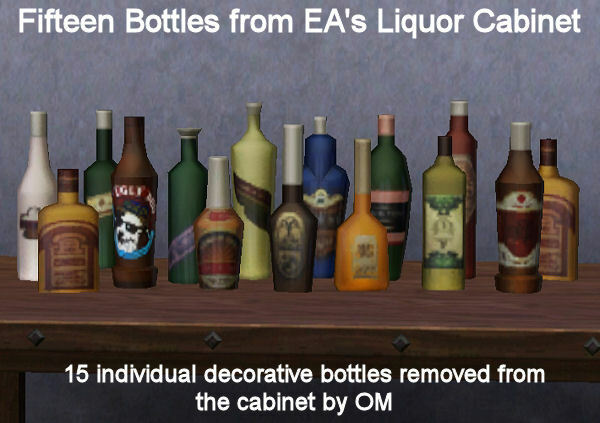 The EA liquor cabinet has many bottles but unfortunately they cannot be used individually as decorative items. This download has 15 of the bottles separated from the cabinet to be used individually as decor. Made by request from Cat. I hope you will enjoy.